The King of Rock 'n' Roll...could also MELT your HEART with a Love Song! 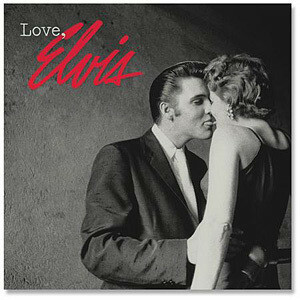 Twenty-four classic Elvis love songs on one CD! Includes the previously unreleased/rare alternate version of "For The Good Times". Mixed and mastered from original source tapes using DSD technology. Cover shot features the famous Alfred Wertheimer photo "The Kiss" from 1956.